Iceland is an island of contrasts. Volcanoes erupt in the middle of ice fields. Black lava flows are capped by electric-green moss. The island abounds in waterfalls of all description, from raging torrents to watery filigrees to leaping arcs. The sandy central highlands seem as lifeless as the moon while the coastal cliffs seem beset by a blizzard of birds. We will explore the magnificent scenes of southern Iceland with forays into the wild interior. We’ll see the signature locations of Iceland, the most famous waterfalls, geysirs with geothermal activity, the spectacular Ice Lagoon set amid glaciers and tall peaks where icebergs float and run aground, the pastel hills and black lava flows of Landmannalaugar- the austere highlands, the rugged coast and gentle farmland. We’ll stop to capture images of the shaggy, sturdy Icelandic horses and the island’s characteristic architecture from Scandinavian modern to sod-roofed barns and churches. Timing is everything so we will photograph when the light is likely to be best for each location. Plus, we’ve selected several of our favorite spots that most tours pass by. Feel the spray from explosive geysers and iconic waterfalls. 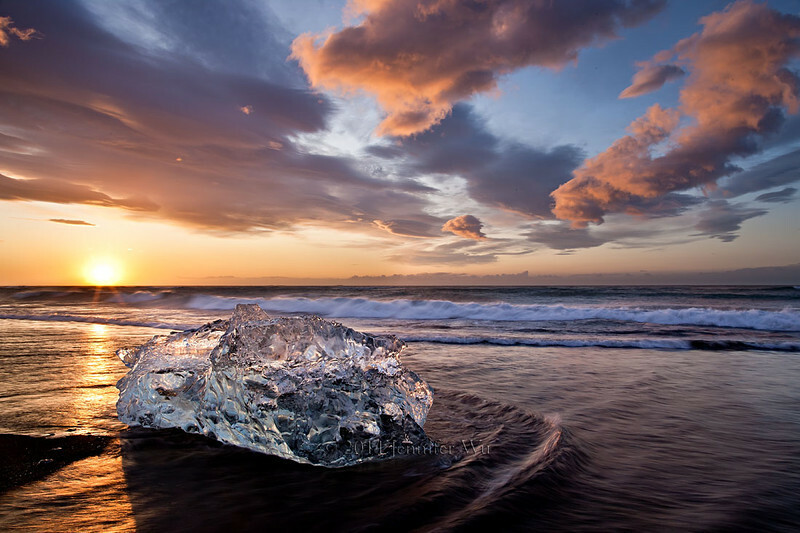 Photograph icebergs stranded on a black sand beach. Dine on farm fresh local cuisine. Pet a friendly horse. Straddle the mid-Atlantic plate separating Europe from North America. Walk in the footsteps of the Vikings of the Sagas. Hear the rifle-shot crack of a calving glacier from a zodiac. Drive over multi-hued hills. Hold a chunk of ice older than civilization. We focus on photography in the field. We forgo planned lectures, but critiques will be offered as well as guidance from two top professional photographers. You will have field demos and assistance by your side. We aim to expand your photographic techniques and enhance the way you see and compose. The photographic opportunities are so rich in Iceland, a photographer’s dream. We can’t wait to share this special place with you! Day 0: Aug 18: Leave the US for Iceland. Day 1, Aug 19: Overnight in Reykjavik. After picking you up at the airport, we go over the schedule and information about the tour. 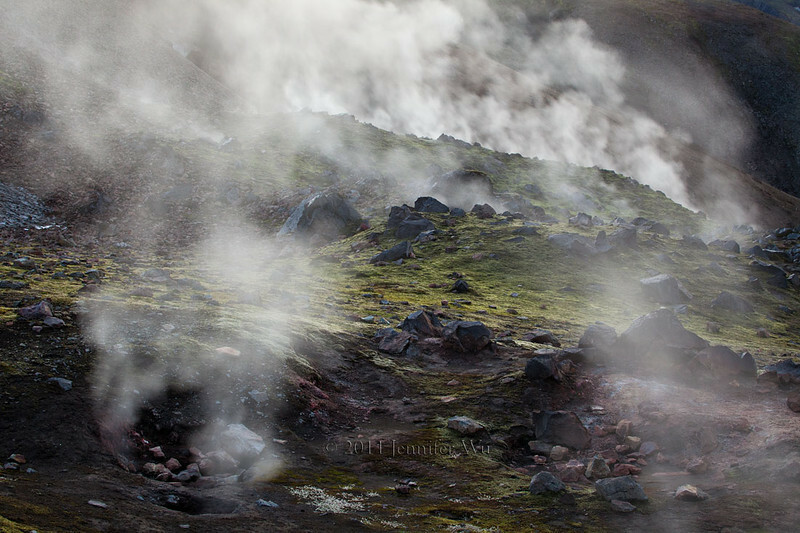 We photograph around Reykjavik and shoot sunset, including geothermal activity and the blue lagoon area. Day 2 & 3, Aug 20–21: Overnight in the Golden Circle area. 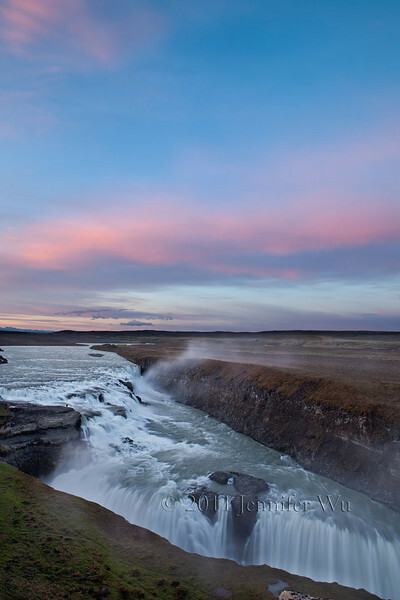 Visit the icons of Iceland, Geysir and the powerful waterfall Gullfoss at the best times of the day. Hraufossar falls is comprised of dozens of falls and cascades offering limitless compositional possibilities. We travel into the interior of Iceland with 4x4 vehicles to photograph the pastel mountains and geothermal areas of the Highlands. Day 4, Aug 22: Overnight in Vík We photograph two little-known waterfalls of striking beauty. Based on conditions, we’ll stop to shoot black sand beaches, Icelandic horses, a beautiful church, basalt sea cliffs, sea stacks, and rustic structures. Day 5 - Aug 23: Overnight near Jokulsarlon. We arrive at Jokulsarlon, the spectacular Ice Lagoon fed by massive glaciers. We will shoot the lagoon and icebergs blown across the water, grounded near the shore, careening down the outlet stream, and stranded on the black sand beach. Day 6 – Aug 24. Overnight near Jokulsarlon. We spend a full day around the ice lagoon area. 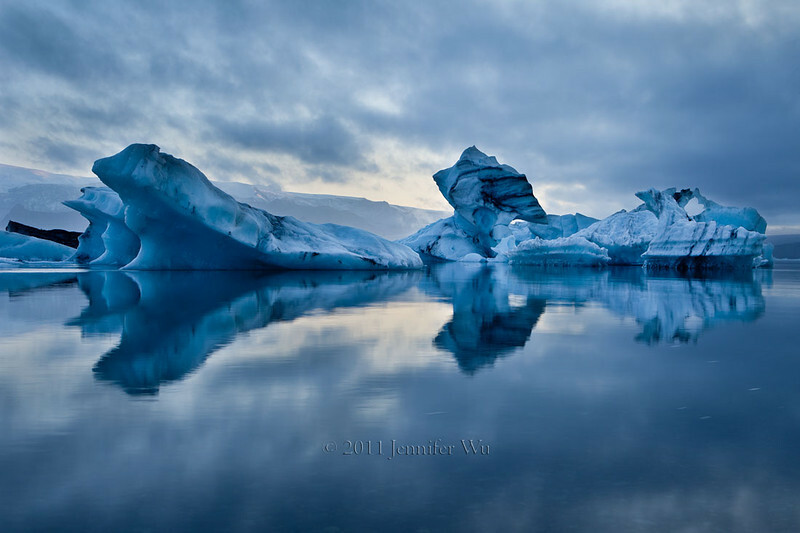 Take our chartered boat through icebergs on the ice lagoon to the glacier terminus, weather permitting. We’ll visit a lesser-known lake ringed with glaciers and dotted with icebergs the crowds miss. Day 7 – Aug 25. Overnight at a beautiful hotel in the south. We have a long day of travel. We’ll get our best views of the mountains and a close encounter with a glacier here with a cliff overview. Walk behind a powerful waterfall and photograph at the best time of the day! Day 8 – Aug 26. Overnight at beautiful hotel in the south. 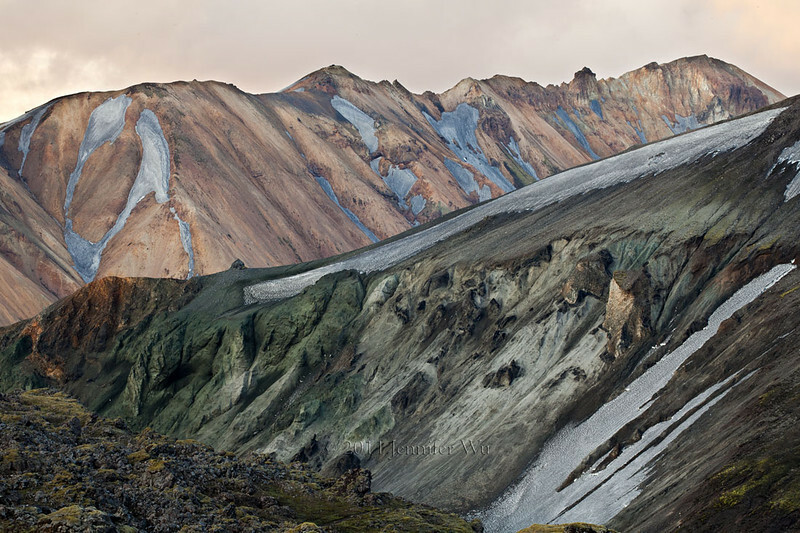 An all day excursion to Landmannalaugar, a region noted for its varicolored pastel rhyolite hills, moss-covered lava flows, and vast expanses. This is the signature landscape of the Highlands of Iceland. Four-wheel drive is a must. Day 9 – Aug 27. Overnight at beautiful hotel in the south. 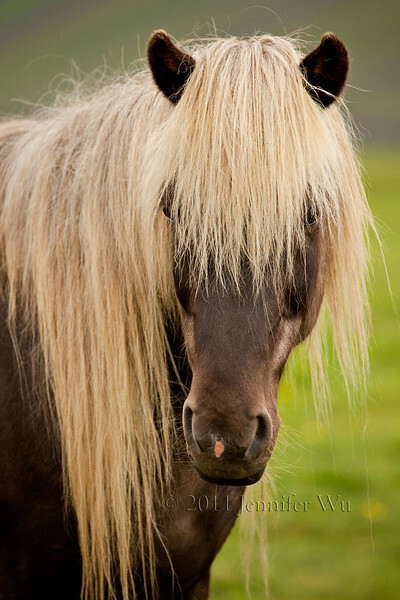 Photograph the rugged Icelandic horses, sheep and verdant countryside. 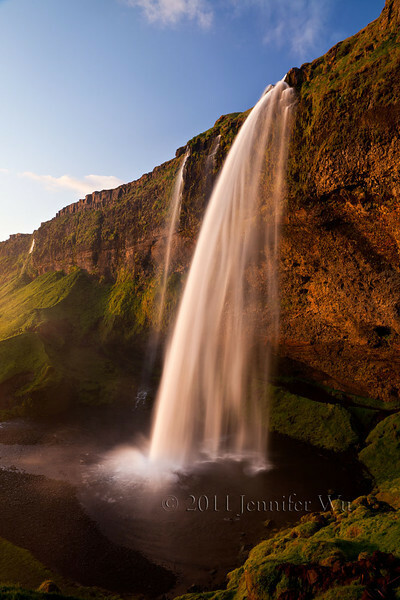 We will shoot amid the spray and roar of the iconic waterfall, Skogafoss. Day 10, Aug 28: Drive to the airport and leave for home. Leave with a trove of memories and stellar images.